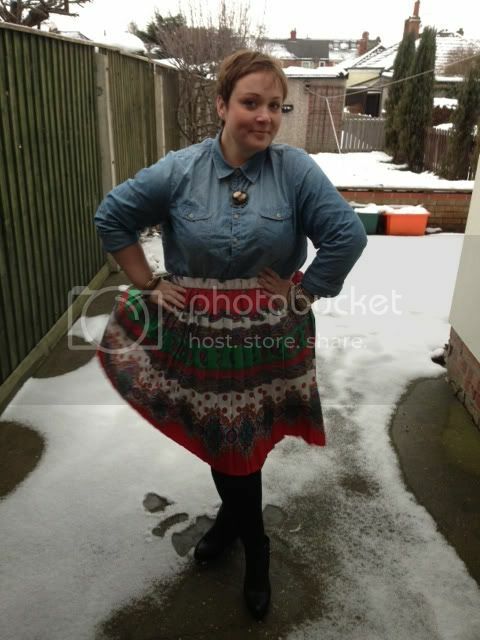 Just a quick outfit post, I picked this rather fabulous skirt up from the clothes swap, so thank you to whoever brought it in! I'm not quite sure if I've found "my way to wear it" but this is a good start, I love the vibrancy of the colours and the pleats. I'm not sure if it's vintage,it seems like it in to good a condition, but the print and style and lack of label made me think maybe? I can't get enough of my chambray shirt at the moment, when a I first got it a couple of years ago I hardly wore it, but it's really doing it for me of late! As you can see the snow is still around but I'm keeping my fingers crossed this is the last of it for now, it was a bit windy too, I nearly had a Marilyn moment! Clothes Swap?? This sounds like something I would love.... can you tell me more??? 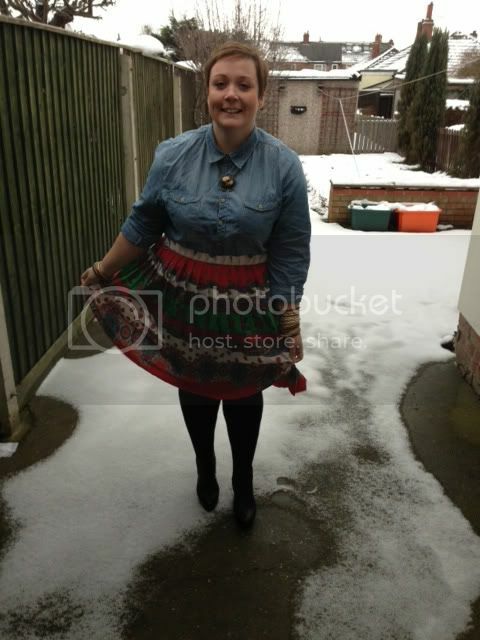 That skirt is fab! I do like it with the denim but I'd also try it with stripes, a green top & a black. Love it with your denim shirt though ! 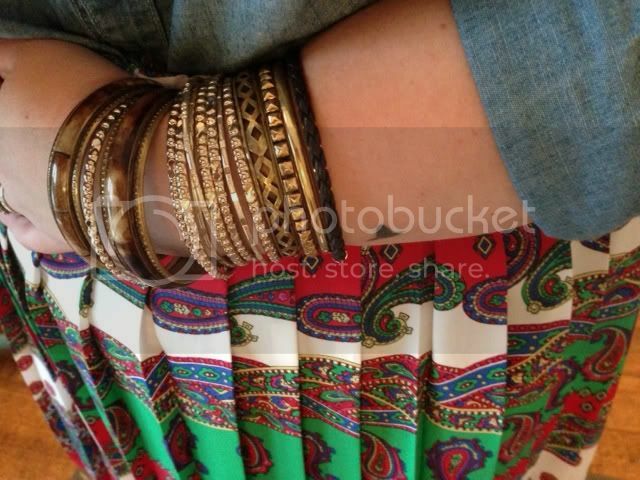 Love the print of the skirt. I would wear it the same way as you! I really like the skirt!! If you squint it could also almost be Mexican like!